Why Are Computers So dumb? 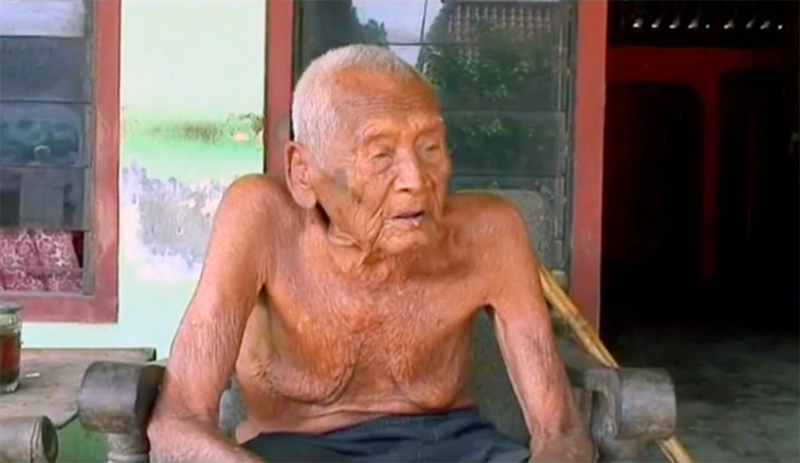 Mbah, a 146 Year-Old Man, Helps Us Understand. 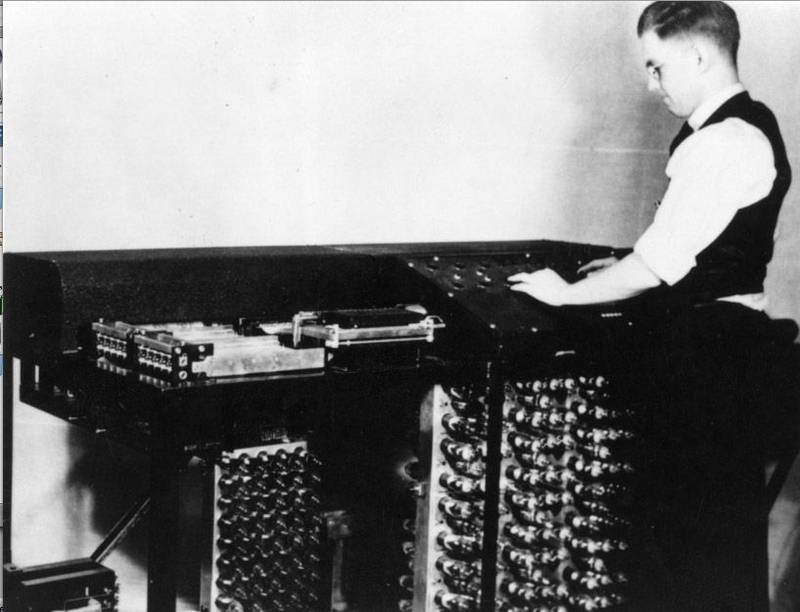 The invention of the modern computer and its many advances since its inception is no doubt among the greatest innovations in human history. It’s hard to believe that only 146 years ago, our ancestors’ primary mode of transportation was horse, train, steamboat, and human feet. The vast majority of people worked growing food just to feed themselves. The world was just beginning to understand that microscopic germs caused diseases. And, 146 years ago, the oldest living man on earth today was born. Whether he is really this old or not, suspend belief for a moment with me and imagine a caricature of thoughts and experiences related to technological advances that Mr. Gotho may have witnessed in his lifetime. 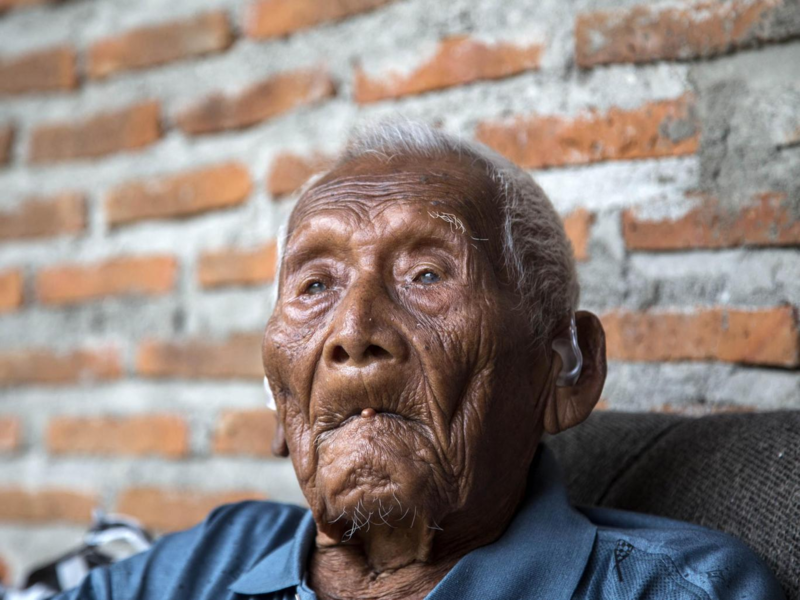 Can you imagine the advances in biology, medicine, and technology Mbah was able to experience, not to mention the historical moments he witnessed in the last 146 years? What does he think of the contrast from the society of his youth to our modern ways in his waning years on our planet? 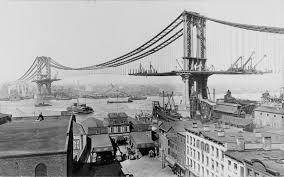 To give some perspective, the year Mbah was born was the year that construction began on the Brooklyn Bridge in New York City. He would have been 13 years old when it was finished in 1883. Mbah was 25 years old in 1895 when Nikola Tesla and Westinghouse harnessed the power of Niagara Falls to deliver AC power to nearby Buffalo, NY to usher in the modern electrical age. He was 38 years old when Henry Ford invented the Model T.
Almost beyond belief, Mbah was nearly 70 years old when the first computer was invented in 1937. So, my guess is Mbah isn’t a computer scientist. At 70 years old, he may have been a bit long in the tooth to learn a new skill based on electronic computation taking hold in places like Iowa in circa 1937 (not to mention the fact he lived thousands of miles away in Indonesia). However, let’s have some fun. Imagine he was a computer scientist from the beginning of the discipline in the 1930’s. What Would Mbah be Thinking of our World Today? Would he ask why it is that computers insist on making us do so much work? There is more power in your wristwatch than all of the computational power that landed the first humans on the moon. Most of us have a supercomputer in our pocket called a smartphone. The power we have at our fingertips is staggering. So why do our computers squander their potential to a level that would make Mr. Football Johnny Manziel blush? At the same time, given existing technology, why don’t more organizations and individuals adopt the simple computational tools that already exist to make all of our lives easier? More importantly, why do the technology “wizards behind the curtain” who create computational solutions insist on so vastly under-utilizing the incredible power that exist with sensors, algorithms, and Artificial Intelligence to make our lives easier? Don’t get me wrong. As a technologist and software engineer, I’m in awe of the myriad advances in technology we see around us. I can still say that we are truly living in the golden age of technological change. Why do most computer systems make us input so much information? Why do most computer systems make us process so much output information? Let me tell you a brief tale to drive this point home. Last week, for the first time since I have had the original iPhone, I cracked the screen of my current phone. Let’s just say it was a get-shards-of-glass-embedded-in-my-fingers type of break. Nothing that I could ignore. So last week while at lunch with friends, the phone dropped from the table, shattering the screen, even though it had a protective case. The next day, I walked into the local smartphone repair chain to get it fixed. What happened next both surprised and horrified me. The technician pulled out a sheet of paper on a clipboard and handed me a pen. Mind you, this was a true, genuine, made-from-trees, piece of paper with a printed form that I was instructed to fill out. By writing using a pen. That had ink in it. All of this occurred at a franchise fix-your-phone outlet chain that focuses on repairing the supercomputer in our pockets. After giving the technician a hard time (despite the fact that I knew he was powerless to change their processes), I followed orders and finished the form. My hand hurt a bit from using my seldom used handwriting muscles. The technician then proceeded to take the piece of paper and rekey the information into the computer in front of me. What a waste of both of our time! A few weeks ago, the same scene played out at a local UPS store when I shipped a package. I was again asked to fill out a form, which was then transferred to a computer. It happens at the dentist’s office. The doctor’s office. The car dealership. And on, and on, and on. This may seem trivial, but can you imagine all of the time the human race wastes pen and paper to transfer contact information that will also just end up almost immediately in a computer? All of this followed by a sheet of paper being immediately filed in the circular file? Or, in general, how much time we waste manually double-entering information whether it is by pen or keyboard into a system that should either already have it, or provide an easy way for me to transfer it from another system? Think of our most elderly human friend, Mbah. What must he think about this travesty? We’ve had systems around for decades to gather this type of input yet we persist in underachieving. He must be so disappointed in us. Why doesn’t every business simply ask me for my phone number, enter it into their computer, then the system can send me a text? I can then RESPOND to that text by sharing my contact information from my smartphone and it can AUTOMATICALLY enter this most basic of information into their system with my explicit consent. This would also be highly secure. A few taps on my phone and we are both done. Mistake-free. Looking beyond contact information, why does a smartphone app ever need to ask me where I am? Isn’t my phone the GPS genius? For example, why would a field-service app require a technician to declare the customer she is visiting when the system has the address and GPS of my location? When I go to the movie, why must I enter in what seems like a 79-digit number to get my tickets printed from a kiosk, instead of using a RFID or Bluetooth reader to just know it is me? “Come on Kiosk, it’s me! You know, Tom. I ordered the tickets from my house. Don’t you remember me?” This must make Mbah’s blood boil. I’m sure he would tell us not much has changed since the times he used to go to the “talkies” in the 1930’s. In more complex scenarios, why can’t my computer recognize simple patterns? For example, when I copy+paste text into this word processor but I want to remove formatting EVERY SINGLE TIME from a web source, why can’t it do this automatically? Come on computer, learn! I do it EVERY SINGLE TIME. Why do you insist on inserting 26 point Times New Roman font in the middle of my beautiful sans serif?! Why can’t my sprinklers perfectly water my lawn without me to tell it exactly how and when? I could go on and on. But I have a feeling you know this pain all too well. Why is this list of our first-world problems so large? Because we have vastly underachieved our technological potential. The technology exists to help my poor lumbrical muscles from ever getting sore again, yet time and time again I require an aspirin at night to sleep after visiting the local auto-repair shop and filling out the “new customer” form. Alas, we have failed our most elderly friend Mbah. I bet he’s furious. However, I am an optimist. Our future is bright. A new dawn is on the horizon. I have hope that better utilization of the current crop of sensors, all combined with a dash of mobile, wearable, IoT and most importantly a heavy dose of Artificial Intelligence will vastly cut down on the amount of input that is required of us. You know, so we can focus our time on the much more important task of being human rather than doing the dumb computer’s job all of the time. Reports, data, more reports, more data and finally the computer tops things off with some more reports. Charts, graphs, dashboards, visualizations, 721 emails, 21 unread Slack messages, and 13 text messages that flood our professional and personal lives. From accounting, HCM, and payroll, to the weekly email I get telling me the computer activity of my kids, computers are dumb. Sorry, but they are. For being such a smarty pants left-brainiac, it sure feels like the computer requires us to do work it should be perfectly capable of handling on its own. I think Mbah would agree with me on this. Why on this grand green earth are we still required to wade through so much stinking data all of the time? I’m a business owner. I have P&Ls, balance sheets, and invoices that are important to running my business. I have a CRM to track customers. Yet every few days, I’m forced to look at a combination of reports, graphs, and so-called dashboards to tell me who has paid, how much money I have in the bank, and that a major expense can make one of my accounts go negative next Tuesday. Like a peasant, I have to hunt and peck in my CRM to find the contact of the accounting person for one of my clients. Here is a novel idea: Just like an intelligent human bookkeeper, why doesn’t my computer handle the mundane task of looking at the various data that exists for me? The way things are done now has to make poor Mbah sick to his stomach. How about the computer gets as much common-sense as a two-year-old and it can tell me when I need to make a decision. Don’t give me the raw information that requires a “where’s waldo” enthusiasm to find hidden in my numbers that I have a crisis looming next week. How about the computer system sends me an email, chat, or text that says, “Hey Tom, because Bill with Ace, Inc. didn’t pay the invoice yesterday, like he told you he would in his email, you’re going to have to sell your youngest child to make your rent payment.” Or even better, just move the amount in from savings for me and send me a notification that it’s taken care of. “Respond ‘y’ if you want me to do that for you (for clarification, I meant move the money. Not sell your son)”. Wow, now that would be a smart computer. In other words, computers need to stop being in the business of presenting us with endless amounts of data, and instead present us with succinct small bundles of information required for decisions only we as humans can make. Instead of us hunting, searching and having to find data to help us make decisions, this relevant data should rise to the top automatically and find us. In the past decades, data-driven tabular reports gave way to dashboards. Dashboards have given way to business intelligence tools with fancy hipster visualizations. But this isn’t nearly good enough. The fundamental problem remains: computer software systems and their hardware tabernacles have the tools to become much smarter and yet they’re still underperforming. Like Johnny Tightlips, let’s get on a “need to know” basis with our computer. Yes, we need access to all of the data. But we don’t need the computer inundating us with information all of the time either. Everything related to computer output should be an exception workflow. After defining what is considered “normal”, then the system should tell me when something is “abnormal” and allow me to insert myself into the decision-making process. Such is my example about missing a rent payment if I don’t take action and call Bill and tell him he forgot to pay yesterday. Ok, so I don’t blame you if you feel I’m a tad ungrateful. If this reads like I’m spoiled and don’t know how good we have it, you’re right. No doubt you’re correct in your self-righteous judgmental-ness. I truly am very happy with the modern conveniences we enjoy compared to even 5 years ago. But if this sounds like I’m advocating for a future science fiction reality that can’t exist today, then you should realize that the absence of these solutions doesn’t mean there is an absence of the means to create these innovations. We have the right pieces. These pieces just need to be put together in new and creative ways. In conclusion, I say “buckle up”as we are just getting started. Almost all of us have supercomputers in our pockets (smartphones) armed with an incredible arsenal of sensors. Cloud computing via the internet allows us to aggregate that information immediately. With the maturity of Artificial Intelligence, we will begin to see the amount of data that is required both for input and output shrink substantially. This is a great thing for man and womankind. Someday soon, all of us will get to the business of being creative human beings, enjoying life and not serving our current technology overloads that are demanding all-too-much of our time. And perhaps someday Mbah can finally leave this earth being satisfied that computing is reaching its full potential.